Not rehearsing is sabotaging activity number 1 responsible for most presentation failures. Yet, rehearsing is avoided like the plague. How come? Every time I speak about rehearsing I see rolling eyes, I am greeted with huge sighs and especially I hear an army of excuses why it is just not possible to rehearse: too much work, not enough time, will be traveling, I know the topic, I don’t have the presentation yet, name it and you got it. And every time I answer with, okay! After all it’s not my presentation. It’s not me that needs to achieve something and foremost it’s not my credibility that is at stake. Somehow that last sentence leaves an impact. The audience will always make an impression of your presentation. This impression stays with them and will be connected to everything you do afterwards. It can even cause them to no longer want to sign up for an event if you will be the presenter. It might on the contrary make them sign up because you are the presenter. What would you want it to be? What does rehearsing do for you? Rehearsing helps you detect not only how well you know your topic but also how well you can explain it. Do you make sense to your audience when you present? Or do you only make sense to yourself? Rehearsing highly positively influence your impact and leave the audience with a message worth hearing. 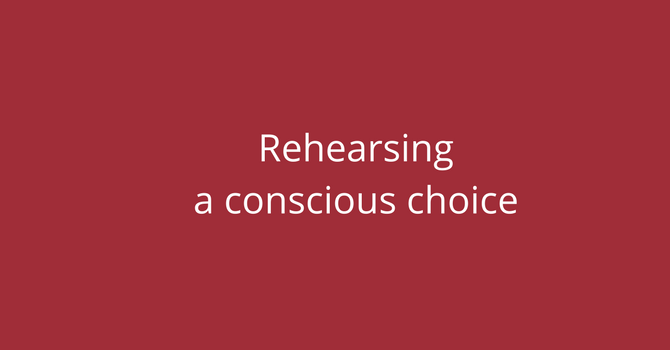 Whether or not you rehearse is a conscious choice. You either believe your own excuses or you become your best ally. Remember though that your audience doesn’t care about your excuses, they only care if their time was well spent. You have a message to deliver and we want to hear it. Rehearse and we will be able to hear it clearly.